9 Ways to Recognize Your Employees this Holiday Season Is IT Salary Growth Keeping Pace with Job Demand? Pointing to the need to refocus attention on the longevity of an organization and the generational shift towards Millenials that is occurring in the overall workforce, leadership development is definitely on the list of hot training topics on the rise. According to a recent SuccessFactors survey of 5,500 executives, a “leadership gap” exists at many organizations and is preventing these companies from moving ahead as quickly or as effectively as their executives would like to see. Respondents didn’t rate the leadership skills of their managerial staff as particularly strong and several structural leadership issues, such as “no succession plan in place,” also came to the surface in the results. On the surface these two topics may seem strange lumped together and they certainly do require two separate lines of training programs. However, in many cases they stem from similar sets of circumstances at an organization, most commonly staffing and organizational changes that involve a generational shift of in the workforce. Defining expectations around professional etiquette may be more applicable to the new Millennial employees (or even the next generation to come), while learning to cope with change is likely more geared towards the long term Boomers on staff. Both require a heightened awareness and understanding of the generational gap that exists and if properly addressed can help prevent generational misunderstandings or conflicts that might otherwise hinder the organization’s long term growth. These two topics are inextricably linked, with the levels of one, i.e. engagement, resulting directly in the performance of the other, i.e. retention. A key first step in improving both of these numbers often involves simply determining how an organization wants to define these metrics and how to go about measuring them. Once a baseline has been set, training around how to improve employee engagement, often involves training managerial level staff. Managers need to learn how to engage their direct reports by having valuable one-on-one conversations with them and getting to them on a more personal basis. Employee engagement survey results are one way to share information with direct reports and involve them in discussions around survey findings. 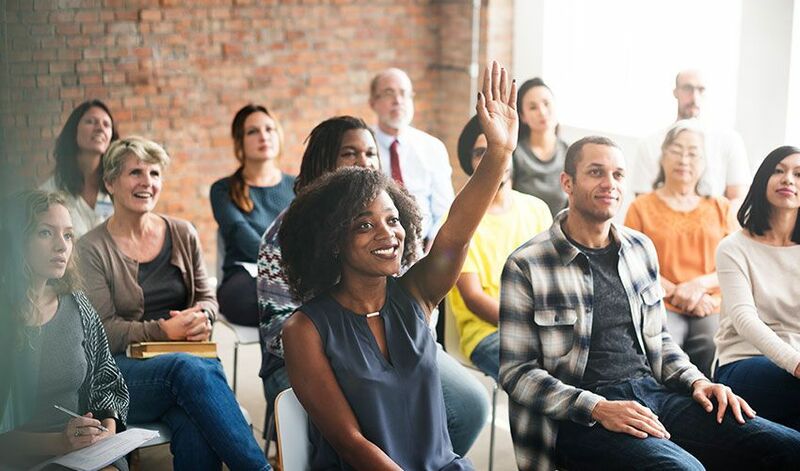 In terms of retention, the strategies can range from monetary incentives to training to employee recognition programs to community service opportunities. While these can vary based on organizational culture, perhaps most important in terms of retention is to make sure your organization has a strategy and then to keep every managerial or supervisory level employee well versed on how to implement these strategies on a day-to-day basis. Depending on the industry, for most organizations today, this is primarily focused around LinkedIn. One exception is in more creative type industries, where this can sometimes include online portfolios, overall social media presence, etc. As with anything technology based, social media recruiting has both a significant learning curve as well as an ever-changing landscape. Keeping up to date on the latest and greatest recruiting platforms and methods is a definite challenge, but one that is not likely to go away anytime soon. Locally, about half of the respondents to ERC’s Hiring Trends & Practices Survey indicated they engage in some form of social media recruitment. As the importance of social media and technology continues to gain momentum, helping key staff members get up to date on the status of social media recruiting today will put both your recruiters as well as your organization on the whole in a better position for the future. With more options than ever on how the employer chooses to communicate with employees, communication remains a staple of the training world across disciplines. As the foundational course for all other “soft-skills” trainings, developing communication skills is beneficial for every employee type (i.e. managerial, line-workers, executives, etc), for a variety of communication methods (i.e. one-on-one, large groups, written text, electronic communication, etc), and can address any number of situations that may arise in the workplace (i.e. everyday co-worker interactions, interpersonal conflicts, high pressure meetings, etc). Ultimately, part of the appeal, as well as the staying power, of communication training is based on its universality to anyone and everyone, both personally and in the workplace. This has been a common buzz word for a number of years now, with whole departments dedicated to developing preventative programs that do everything from encourage team building to smoking cessation, in short, this is a holistic approach to employee well-being. Of course, not every organization has the resources to hire an entire staff to develop and implement these programs. In these cases the “wellness” duties most often fall to the HR Department by default. Although HR is likely well versed in an organization’s benefits offerings, helping them understand how to most effectively structure and implement a wellness program is critical to its overall success and longevity, not to mention, following additional rules and regulations mandated under the ACA. Speaking of the ACA, employers continue to struggle with the ongoing implementation of the complex new healthcare law, but it is only one example of the multitude of employment law topics that cause much angst among employers (especially in the HR Department). In a survey of ERC members, employment law updates are the number one requested type of content, whether that comes in the form of articles, trainings, or otherwise. Navigating the ever evolving legal landscape requires constant vigilance and can make or break an organization’s ability to stay on top of compliance requirements, reporting deadlines, and more! This grouping can encompass a number of areas, including harassment prevention, bullying in the workplace, and conflict resolution. At the most basic and straightforward level, anyone in a supervisory role should be aware of the harassment protections for the workplace that are included in Title VII of the Civil Rights Act. However, training to be able to appropriately identify and manage conflicts between employees, whether it falls under harassment, bullying or some other kind of interpersonal conflict is a much more subtle and challenging process. With more and more high profile media coverage of bullying and harassment in the workplace in past years, this is undoubtedly a topic that if properly addressed upfront with training, can prevent major backlash both in terms of reputation as well as possible legal repercussions for an organization. Of course, the improvements and developments described above don’t come without an investment of both time and money from all stakeholders. This makes budgeting for and selecting the most impactful training topics for your particular organization key. In some cases a “training needs assessment” can be helpful to identify the best place to start and can provide a formal process for planning training initiatives in the future. Or, perhaps your organization already has a well defined set of goals in mind that fit with a particular training topic. Ultimately, when it comes to training, while there is a lot to cover, there is also a lot to gain for both employee and employer alike.